Fly Fishing for Arkansas trout is spread all over the state. 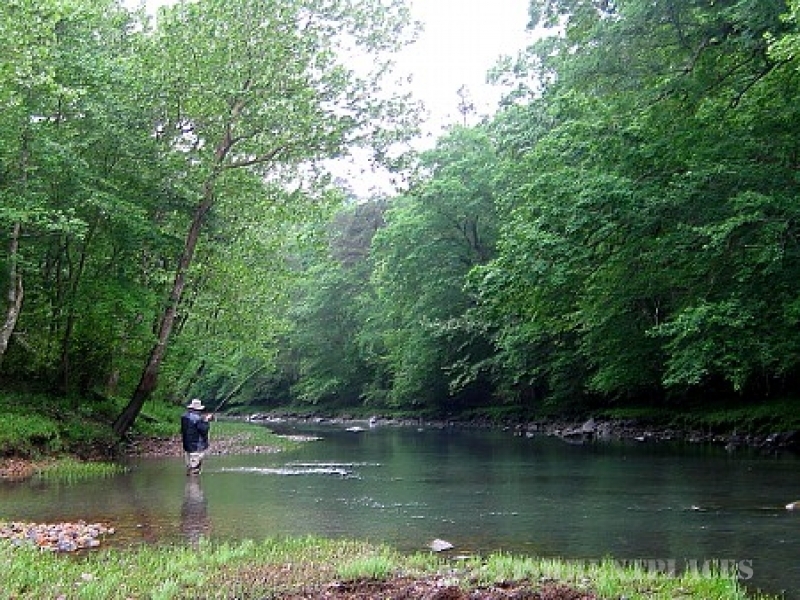 The Ouachita Mountains (that's Wah-chi-taw) have some of the most spectacular waters you will find in the state, but you've found the only site dedicated to fly fishing on the Little Missouri River in southwest Arkansas! Some of you may be interested in Casting Lessons! Or my Custom Rods. You might be surprised at what you find out! Check out Ouachita Mountain Flies to view my favorite patterns and get your orders or deposits placed there. Get general information on the The Little Missouri and bits about other Attractions around the river and Murfreesboro. Find out who it is you're dealing with on the Yours Truly page and my Guide Fees. And one of my pet peeves is people who think they are doing a good thing by releasing fish but still do a lot of damage because of poor techniques! By all means, please practice Catch & Release but do it correctly! For all the lodging options and good eats in the Murfreesboro area, make sure you check out MurfreesboroARK.com!